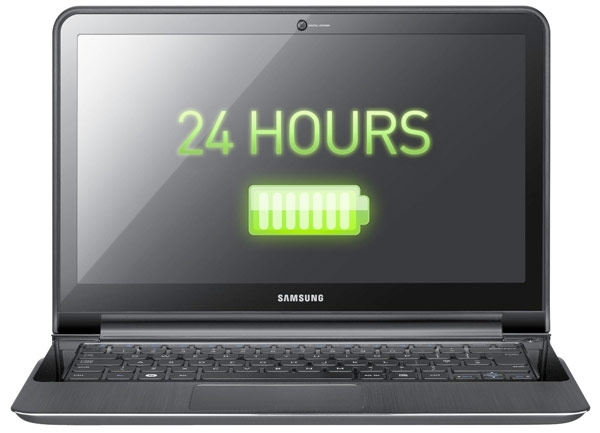 Can Ultrabook Thinness Ever Coexist with Long Battery Life? "Bandwagons, trains and Tranes. Can't say that these three have a heck of a lot in common in most regards, but one thing's for sure: trying to stop this trio would be a Herculean task. And so it goes with laptops -- once upon a time, it was good enough to have something that resembled a portable tower, but these days, the ability to even see the chassis at all feels like a negative. I exaggerate, of course, but the proverbial race in the laptop world is hardly about price; it's about thinness." An interesting 'form vs. function' discussion. The holy grail here, as one would expect, is a laptop an inch or less thick, with battery life of a full "business day," while operating at full tilt. While battery technology has certainly improved, it's not enough to coax much more than ~4-6 hours of intermittent use out of today's (Ultrabook) batteries. It seems that the goal of 24-Hours is obtainable, but not with this less-is-more footprint. Is going back to the 4-5 pound 1-inch+ thick laptop the answer? Better battery technology is coming, but probably not soon enough for most users. Other thoughts: Making a 'battery slice' affordable and available for all models? Replacing the physical keyboard with a tablet-style virtual keyboard, freeing-up space for a larger battery (then why not just use a tablet?)? Unbreakable solar panels in the cover to constantly charge? Wireless Charging not requiring <1m proximity? Inventors? Any ideas that you can share?